The FY 2016 U.S. 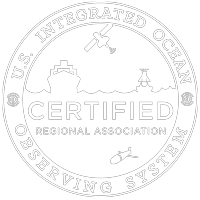 Integrated Ocean Observing System (IOOS®) Implementation Federal Funding Opportunity (FFO) was published on February 11, 2015. The FFO specifically requests proposals addressing 1) sustaining and enhancing comprehensive regional observing systems and 2) verification and validation of observing technologies for studying and monitoring coastal and ocean environments. The FFO can be found in Grants.gov by searching for the opportunity identifier, NOAA-NOS-IOOS-2016-2004378, or by searching the IOOS CFDA number 11.012. Please visit, www.secoora.org/IOOS_2015_FFO, for more information.